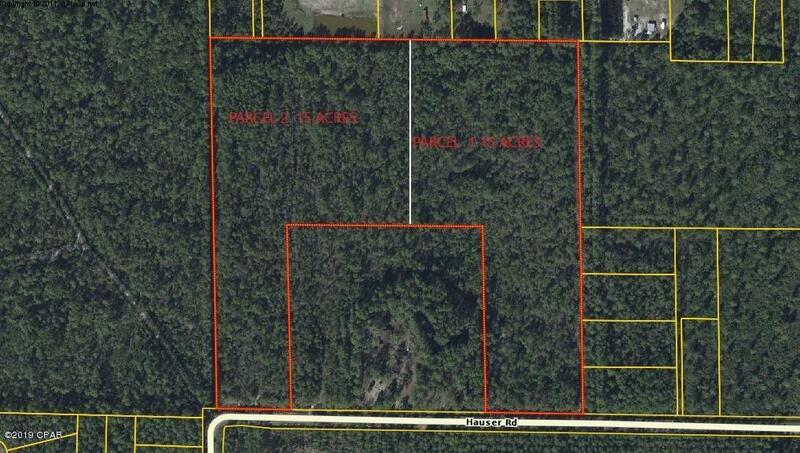 this 15 acre parcel is part of a 30 acre parcel. Located close to Tyndall AFB, shopping, restaurants, and many water activities. Mostly wooded. On paved county road. This property can be subdivided, and there is more adjacent property that is available for purchase. Very few medium acre track available. Call for more information.